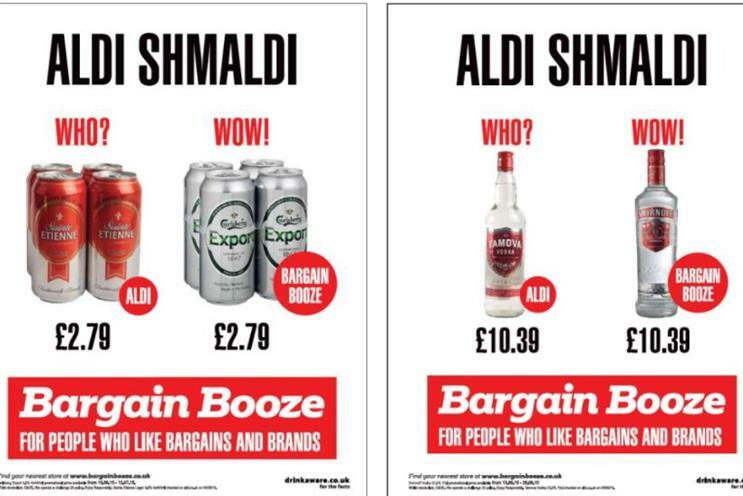 Discount alcohol retailer Bargain Booze has employed Aldi-like mockery in a tactical campaign designed to show it sells big brands at the same price as Aldi own label. The retailer has created a light-hearted, cheeky take on Aldi's recent advertising campaigns, which pit brands against Aldi's own range. The booze retailer ran full page adverts in The Sun, Liverpool Echo and Manchester Evening News today and will also roll out the ads on billboards and on telephone booths throughout London. The concept, Bargain Booze said, is to communicate that the retailer stocks "low cost, well-known brands, and always has done."